Moira Cullen is a design strategist, writer, and educator who has built a career directing creative business solutions that honor the essence and heritage of organizations, institutions, and brands. At the Hershey Company, she created and led a global strategic design function, globalizing its iconic brands, setting global design standards, and growing a global design culture that discerns, demands, and drives design excellence. At The Coca-Cola Company, she led the influential redesign of the Coca-Cola trademark visual identity system, in North America, that garnered numerous awards, including the premiere Grand Prix for Design and Golden Lion for packaging at Cannes. Moira built and led the corporate design group at Hallmark Cards, Inc., revitalizing its brand and leveraging design as a corporate asset; she was Chair of Communication Arts at Otis College of Art and Design, design manager at Pentagram, AIGA’s national director of programs, and creative director for one of Japan's leading fashion specialty retailers. Moira is a frequent speaker on design, design thinking, and design's role in business. Her essays and criticism have been published in leading design publications and anthologies. 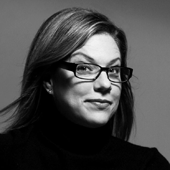 She is past president of AIGA’s Los Angeles and Kansas City chapters, and of AIGA’s Center for Brand Experience. She served on AIGA’s national board, and was named an AIGA Fellow. She is currently the Vice President of Global Beverage Design at PepsiCo.